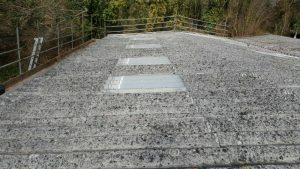 Providing commercial roofing services throughout Sussex, Surrey, Kent, Essex and Hampshire. Industrial and commercial roofing contractors in Sussex, Surrey, Kent, Essex and Hampshire. 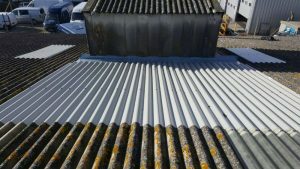 We offer specialist independent advice on all aspects of flat roofing, asbestos removal, roof maintenance, roof repairs, corrugated roofing and commercial guttering. Some of the usual commercial works we carry out are over-roofing with new profiled metal sheeting, composite panel strip and re-sheet, translucent roof-light replacement, gutter lining, re-cladding, felting and waterproofing treatments. At SCS roofing services we also carry out smaller random repairs for industrial and commercial buildings. Examples of this include sealing leaking pipes that protrude through the roof and fitting overlay sheets to cover damaged areas. With technical and practicable expertise based on a wealth of experience in the commercial roofing industry, we aim to offer a high quality, cost-effective solution to your specific roofing, cladding and guttering problems. 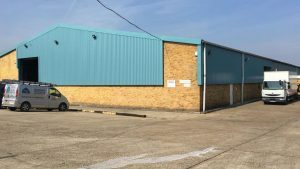 SCS Roofing Services Limited provides quality industrial and commercial roofing services throughout Sussex, Surrey, Kent, Essex and Hampshire. 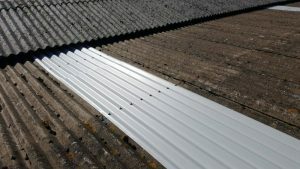 We offer specialist independent advice on all aspects of flat roofing, asbestos removal, roof maintenance, roof repairs, corrugated roofing and commercial guttering. 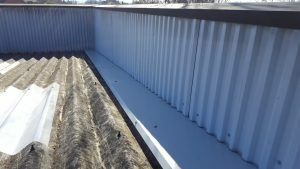 The advantage of over roofing is that the original roof remains in place to provide weather protection, whilst a proprietary grid system is installed to support the new profiled steel sheeting that goes on top. Solutions can vary depending on the severity of the problem. Random repairs, such as simple sheet replacement, overlay sheet or the installation of new flashing may be adequate to resolve minor issues. Flat roof problems can be dealt with in a number of ways, depending on the age, type and condition of the roof. Solutions range from localised random repairs to the complete replacement of the roofing membrane. Roof light replacement is the service we offer with the most obvious result. Replacing Roof lights can be the most effective method of getting more natural daylight into a commercial building or warehouse. Random repairs, such as simple sheet replacement, fitting overlay sheets or the installation of new flashings may be adequate to resolve minor issues. Leaking fixings can be replaced, sheet end laps can be coated and extrusions can be correctly flashed in and sealed. The exterior of your building is often the first thing that your clients will see. Over cladding and re-cladding a building can dramatically alter its appearance. The new over cladding can be fitted directly over the existing cladding or walls. 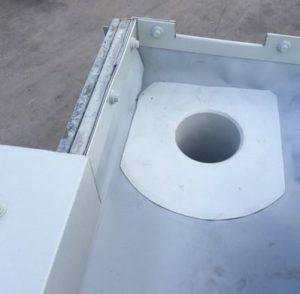 When heater pipes and extraction vents are fitted through the roof the original works are often carried out by the engineer fitting the appliance. Often it is the case that water ingress randomly occurs around these penetrations as the seals break down after time. Flashings can be installed to encapsulate the leaking coping stones. These flashings comprise of a substrate material of galvanised sheet steel with an outer protective coating of PVC Plastisol. 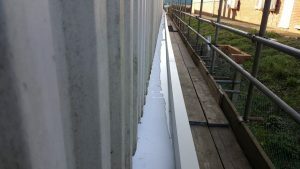 Where necessary the flashings can cover the internal area of the parapet wall covering any suspect upstand details. Leaking guttering is the most common cause of water ingress in Industrial and commercial buildings. Leaking joints or a steel gutter completely rusting through are the most common problems. We offer a range of guttering services to our clients. During March 2019, we carried out some repairs to 2 no. steel gutters serving a workshop roof in Edenbridge, Kent. 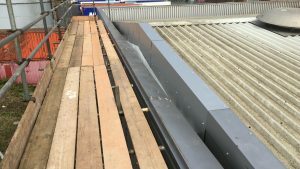 In February 2019, we undertook a contract for Adur & Worthing council on a Warehouse roof in Worthing, west Sussex. Contact us today on 01342 822100 to discuss your roofing requirements or complete the form below to request a FREE survey. We specialise in industrial and commercial roofing services in Sussex, Surrey, Kent, Essex and Hampshire. We offer specialist independent advice on all aspects of roof maintenance, roof repairs, asbestos roofing, corrugated roofing and commercial guttering.